et's get one thing straight from the start: Apple and Amazon are not friends. If they were high school students, they'd be mean girls glaring at each other from opposite sides of the cafeteria, jealously forcing their friends to pick sides between Team Chloe and Team Madison. To put it into market terms, both companies would like nothing better than to have customers to themselves, wrapped up in their own seamless media universes: iTunes, iPad, and Apple TV on the one hand; and Kindle, Amazon Prime, and Fire TV on the other. So why would Amazon release a version of its Kindle Reader on Apple's iPad, allowing users to access its library of exclusive digital books? "Doesn't that diminish interest in the Kindle device?" asks Feng Zhu, an assistant professor in the Technology and Operations Management unit at Harvard Business School. And why would Apple ever allow a Kindle app in its App Store in the first place? "We all know historically Apple often says no to apps that directly compete with Apple's own offerings," says Zhu. 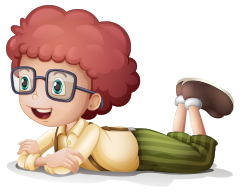 "In this case, Apple also sells e-books through its own iBooks app, so why would [Apple] ever say yes?" Such questions intrigued Zhu, whose research covers competitive strategy and innovation in high-tech industries. Along with Ron Adner of Dartmouth and Jianqing Chen of The University of Texas at Dallas, he appropriated a familiar term for these strange bedfellows. "Even though these platforms are competing aggressively with each other, along certain dimensions they are collaborating," says Zhu. "We call them 'frenemies.'" In a new working , Frenemies in Platform Markets: The Case of Apple's iPad vs. Amazon's Kindle, the researchers use a complex mathematical model to get to the bottom of just why enemies might decide to share a locker. It boils down to a difference in how they make their money. "Even though both [companies] make money from hardware and content, their profit foci are quite different," says Zhu. "Amazon is not really making a profit on hardware sales. It prices its hardware low as a way to encourage people to buy a lot of e-books." Apple, on the other hand, makes several hundred dollars on each iPad sale, able to charge a premium because of the hundreds of other features it is able to offer through the App Store. Those different strategies do more than just reduce competition between the two platforms, they also actually drive them to work together. 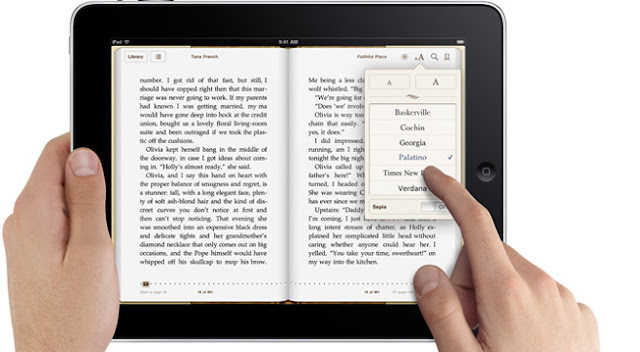 "By making Kindle Reader available on the iPad, Apple will be able to attract more iPad buyers. The additional profit Apple generates from hardware sales more than compensates for the reduced e-book sales through iBooks," says Zhu. "At the same time, Amazon will be able to sell more e-books, and the additional profit Amazon generates from e-book sales is greater than the loss in reduced Kindle device sales." That collaboration could make the two platforms differentiate themselves further, causing Apple to focus even more on device sales and Amazon more on book sales for their profits. Through their mathematical model, Zhu and his collaborators show this phenomenon holds true in the face of multiple scenarios. "The beauty about the mathematical model is that it allows us to show mathematically that our intuition works; it also allows us to investigate how various factors such as different platform production costs and exclusive content affect the two platforms' incentives to work together." Nor are frenemies limited to the Apple-Amazon example. The same pattern may emerge when competing platforms with asymmetric profit strategies. For example, Amazon recently listed its Chinese e-commerce site as a virtual store on the massive Chinese exchange Alibaba, which would seem like a direct conflict, kind of like Lowes opening a store inside Home Depot. But since Amazon makes its profits from product sales to consumers, while Alibaba makes money from service and advertising fees from merchants, both could help the other increase its overall bottom line. Similarly, Microsoft raised eyebrows for making its proprietary MS Office software available on Apple's iPad—after all, the software was one of the major selling points of Microsoft's competing tablet Surface. "That was one of the reasons people bought Surface to begin with," says Zhu. "By making Office available on iPad, you would think Microsoft is helping its direct competitor." But Microsoft has always been primarily a software company—by charging a premium to unlock advance features on its Office apps, it might be able to more than make up for lost revenue from decreased Surface sales. Not all competitors have the potential to become frenemies, however. Microsoft and Sony still compete bitterly to persuade video game producers to create exclusive content for their gaming consoles—Xbox and PlayStation, respectively. In that case, the two platforms are making their money in the same way, leaving them insufficient room to collaborate. Zhu and his collaborators predict that as digitization increasingly de-couples hardware and software in many industries, corporate frenemies may become more common. With the increasing emphasis on added software services in automobiles, for example, car companies may have incentive to use competitors' software in their dashboards, provided they have asymmetric profit strategies (car sales vs. value-added services). "Firms' business models today are increasingly multisided, which allows them to generate profits from multiple sources. The multisidedness provides flexibility for firms to choose their profit foci, and creates opportunities for competing platform owners to cooperate. Our model can help managers consider such incentives, and determine whether there is room for them to work together," says Zhu. If their model shows anything, it's that there is much more room for collaboration among competitors than it might readily appear. If there is hope for such vicious rivals as Apple, Amazon, and Microsoft, then maybe there's hope for Chloe, Madison, and Ashley, too. Michael Blanding is a senior writer for Harvard Business School Working Knowledge.